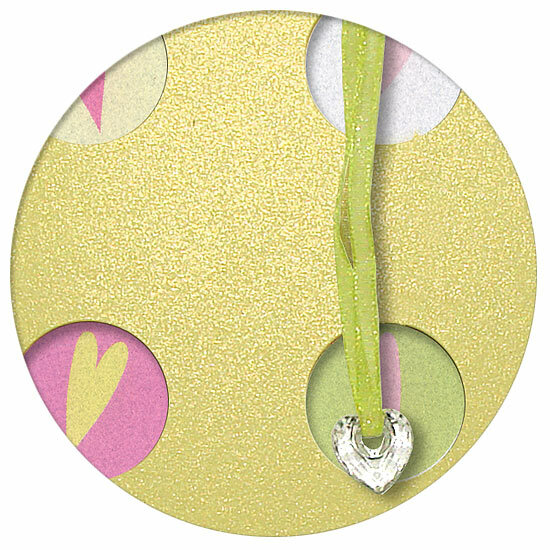 The inside of the invitation is decorated with a chiffon ribbon, from which a crystal heart hangs. Colourful hearts are printed on a background of colourful hearts. 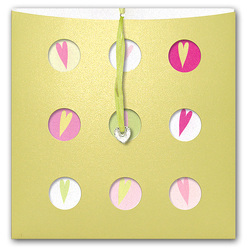 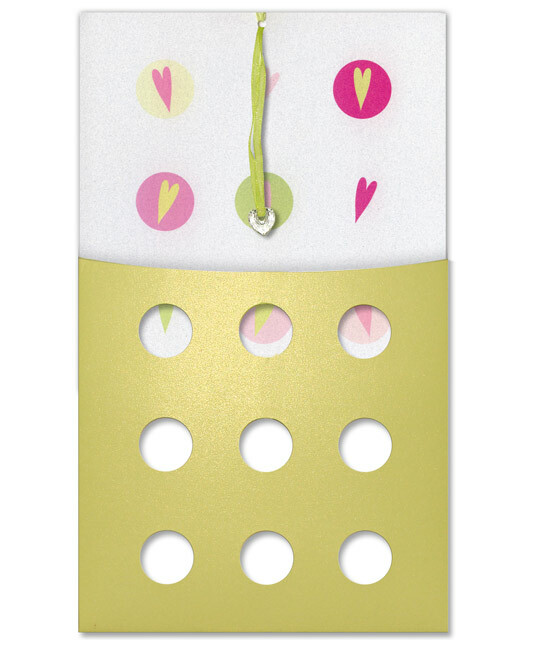 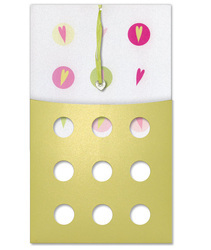 The inside slides into a shiny pocket with nine cut-out circles, through which the hearts are visible.